Winter Jazz Fest might be over, but it is obviously still winter, and hot jazz will keep us in a festive mood in the coming week. Masters reign across the metro this weekend, while stellar visitors and Mardi Gras celebrations highlight the week ahead. Friday, February 5. An ensemble of area heavyweights makes its debut on the Friday Night Jazz at Reverie (aka The Nicollet) series. 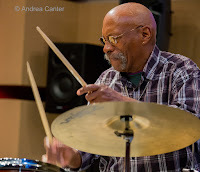 The Steven Hobert Quartet features an exciting group of Twin Cities musicians, with leader Hobert (piano) joined by wide-ranging bassist Yohannes Tona, nationally touring violinist Kip Jones, and up-and-coming drum sensation Arthur "LA" Buckner. 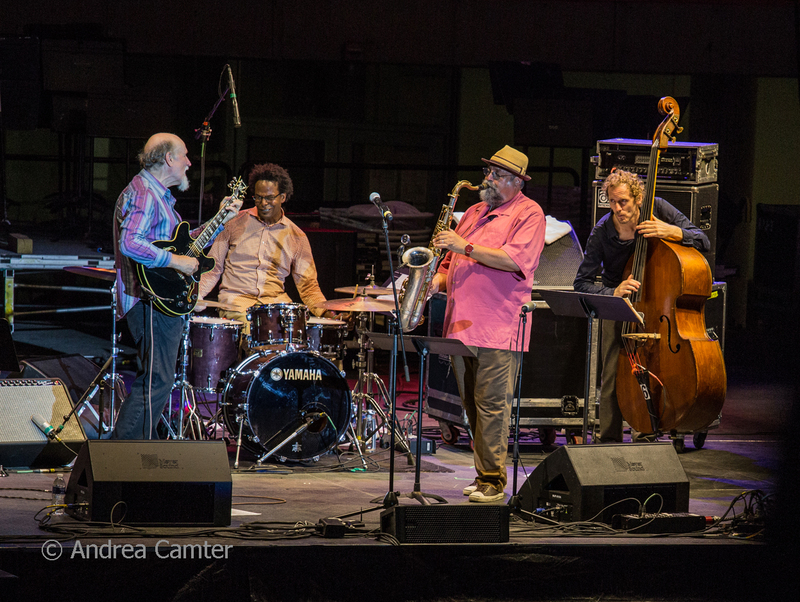 This is perhaps one of the most eclectic quartets to ever perform on this jazz series! 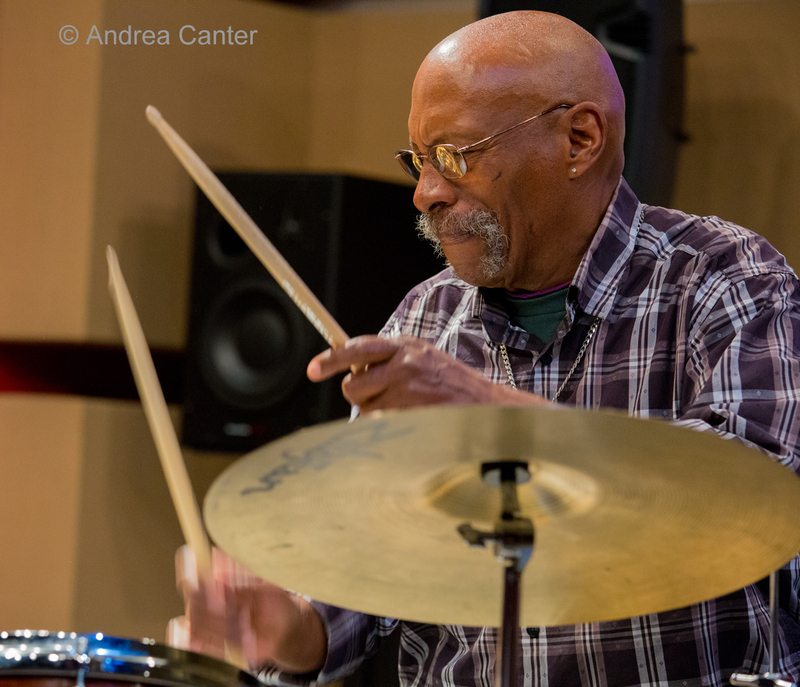 Jazz Central Studios hosts its Masters Series every Friday night, and no one better fits that description than Eric Kamau Gravatt. 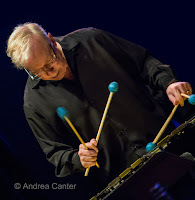 The former Weather Report drummer was already a legend in the 70s and has enjoyed a resurgence of his career over the past decade, particularly as leader of Source Code. He'll bring the band with four other local favorites-- Chris Thomson, Solomon Parham, Dean Magraw and Ron Evaniuk. Dinner sets tonight at the Icehouse featured one of their favorite duos, guitarist Jacob Hanson and bassist James Buckley, while Todd Harper's Piano Fridays features sax innovator Nathan Hanson at the Black Dog. 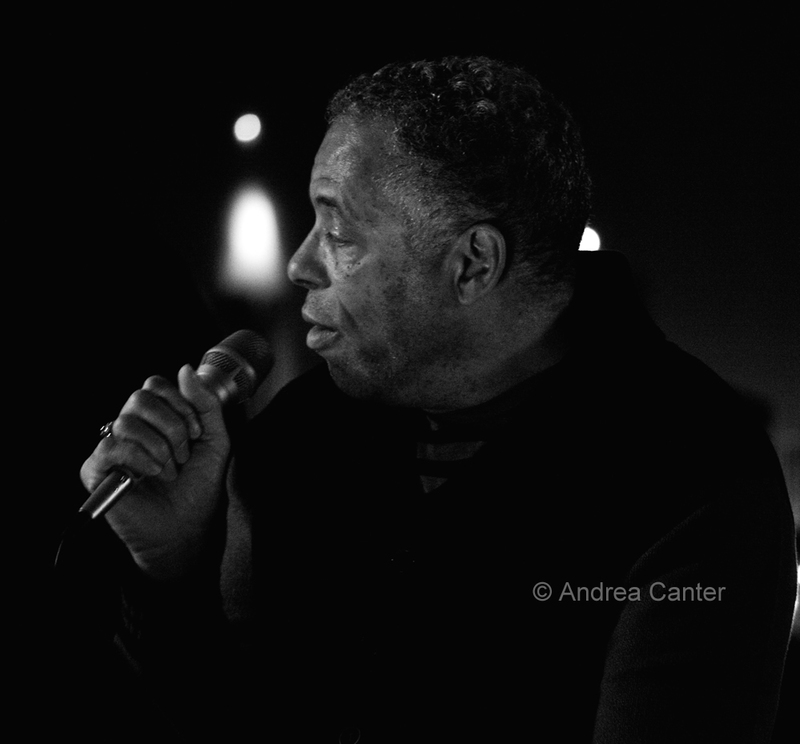 Although he came to his music career relatively late, Thomas Bruce was a quick study and is now a veteran vocalist with a bent toward Chet Baker. He's in the spotlight tonight at Parma 8200. Start celebrating Mardi Gras a little early at Vieux Carré with the Bill Evans New Orleans Jazz Band. Enjoy a Sarzac before you start a second line march! Friday-Saturday, February 5-6. 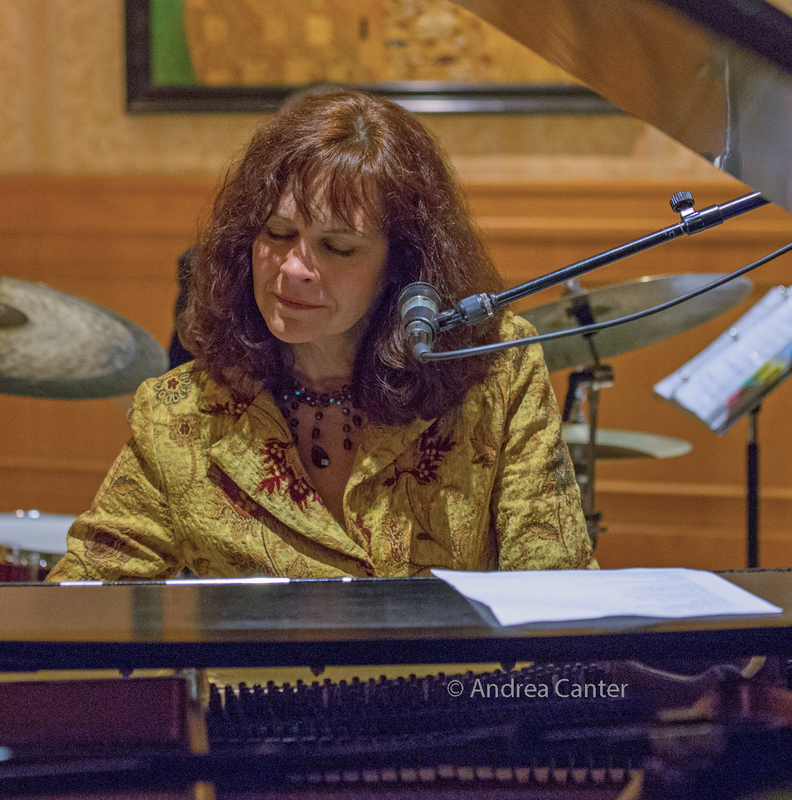 Hot off a Sunday night edition of Jazz in the Lobby Bar, pianist/vocalist JoAnn Funk and bassist Jeff Brueske keep the music flowing at the Saint Paul Hotel. Saturday, February 6. Looking for some family fun with Mardi Gras flavor? The Jack Brass Band starts celebrating early this afternoon at Como Dockside. Expect some tunes from their new CD, For Your Soul. 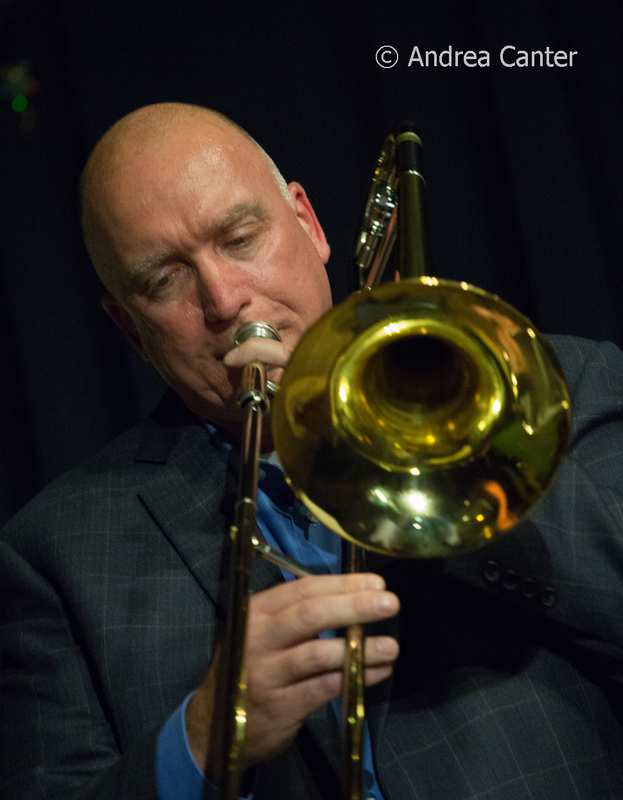 Long-time jazz educator, head of Jazz Studies at the University of Minnesota, renowned arranger for the Glenn Miller Orchestra and more, Dean Sorenson is also an accomplished trombonist and bandleader who is not heard on the bandstand often enough. His Dean Sorenson Sextet (with Steve Kenny, David Milne, Chris Lomheim, Tom Lewis, Phil Hey) returns to the scene of their August CD release on the Saturday Night Jazz at the Black Dog series. 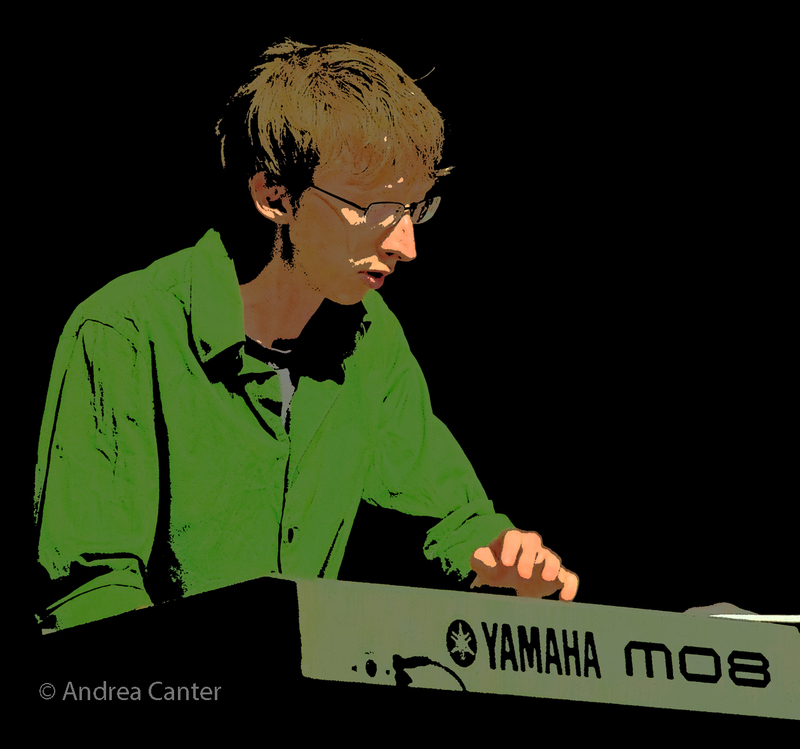 Come early and enjoy an opening set with the Nick Syman Quartet. 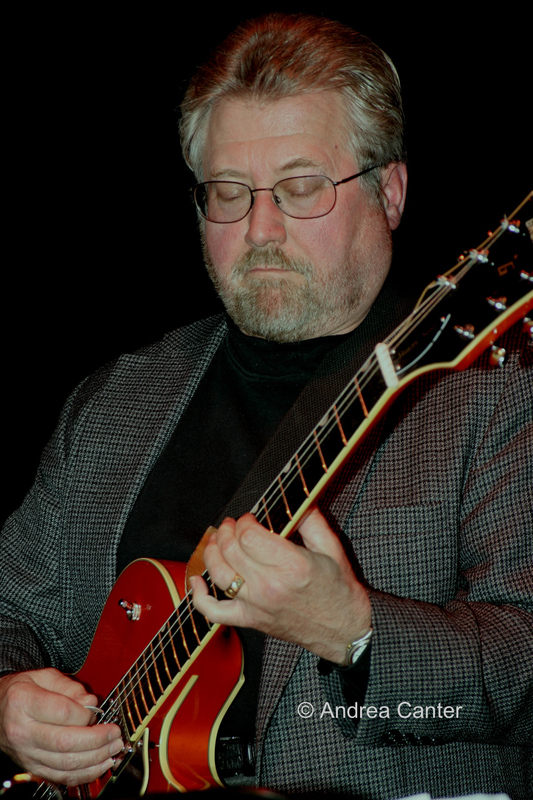 Saturday night regulars include the Benny Weinbeck Trio at Parma 8200 and the Talking Strings at the Loring Pasta Bar. Dinner sets tonight at the Icehouse feature accordionist extraordinaire, Patrick Harison. And more New Orleans grooves with the Pigs Eye Jass Band's Mardi Gras Party at the Eagles' Aerie Club, where dancing isn't just allowed, it's expected. And tonight, there will also be beads and a Second Line parade through the hall. Anyone living in southeast Minnesota or heading that way, guitarist Dean Magraw and long-time cohort, fiddler and mandolinist Peter Ostroushko will be at the Oak Center General Store in Lake City tonight -- a string extravaganza! And Hell is the destination for a night with Arne Fogel and the Wolverines-- Hell's Kitchen, that is! Even Satan would love this show. Sunday, February 7. 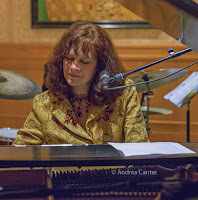 Patty and the Buttons (aka Patrick Harison and friends) hold their usual brunch party at the Aster, while guitar guru Zacc Harris and his trio take their weekly spot in a tight corner of the Riverview Wine Bar. Dan Chouinard's "Birthday Club" in the Dunsmore Room at Crooners features the multiple talents of singer/actor Dane Stauffer, an alum of Childrens' Theater and NYU's Tisch School of the Arts. Monday, February 8. 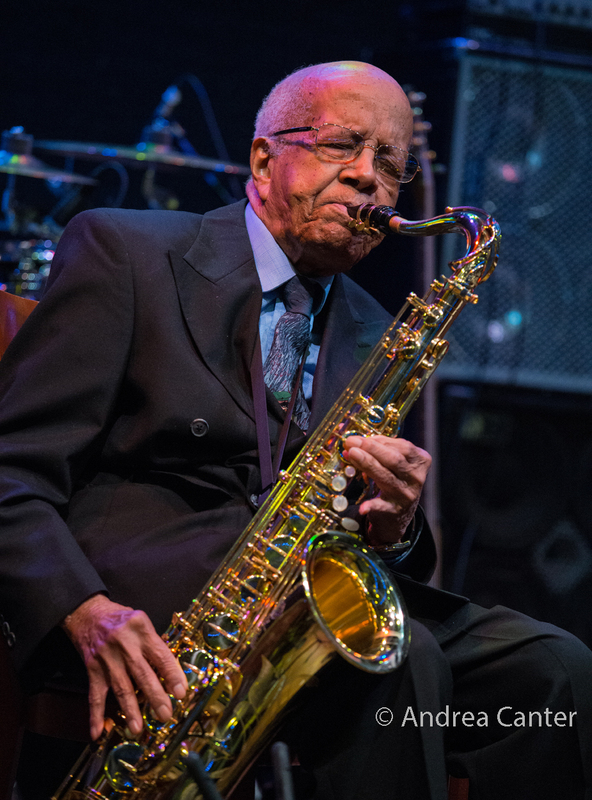 No one belongs in the Spotlight Artist slot at Jazz Central more than 96-year-old sax legend Irv Williams. With pals Steve Blons, Billy Peterson and Dave Graf, this is likely to be the most mellow show you'll hear in this room! Big band fans will enjoy the monthly installment of the Acme Jazz Company at Crooners Lounge; the band should be warmed up from last weekend's opening gig at the Winter Jazz Festival. 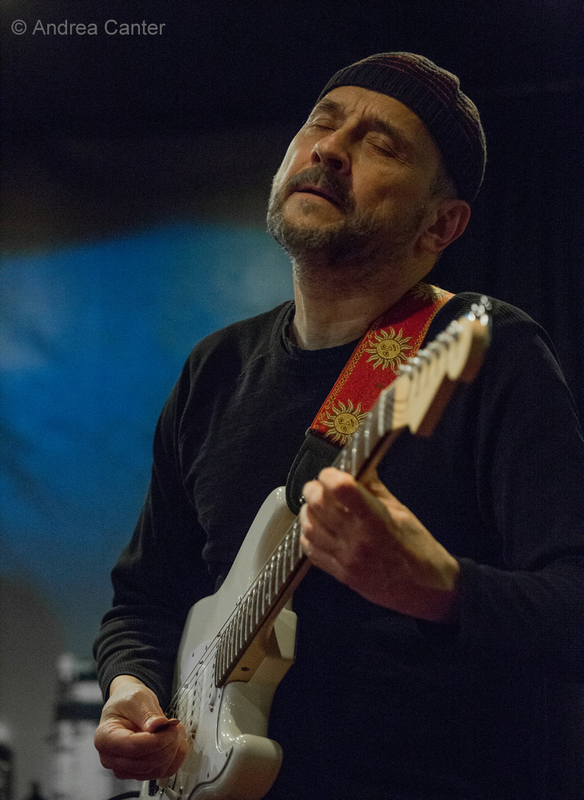 Lovers of the local avant garde scene have options East and West tonight: Sax magician George Cartwright leads an ensemble at the Black Dog with Bill Horvitz on guitar and vocals, Doan Brian Roessler on bass, and Davu Seru on drums. And late night improvisation prevails at the Icehouse for JT's Jazz Implosion, featuring Six Families, three sets: 1) Michelle Kinney's Too Choose (Kinney, Noah Ophoven-Baldwin, Joe Peterson and Davu Seru); 2) Rice with Mark Engelmann and Toby Ramaswamy; and 3) Adam Zahller's Rillwands. Monday-Tuesday, February 8-9. 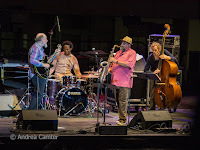 Just last week, the audience at the Dakota witnessed what has to be one of the most telepathic, sublime collaborations in modern jazz with Charles Lloyd and Bill Frisell, along with Lloyd's frequent partners, Reuben Rogers and Eric Harland. 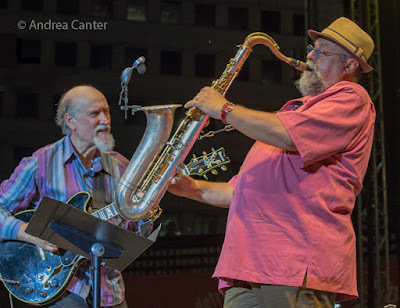 With the stage still smoldering from that 2 1/2 hour set, another, longer-standing partnership lands at the Dakota for two nights -- the John Scofield-Joe Lovano Quartet with ace cohorts Ben Street and Lewis Nash. The Scofield-Lovano pairing dates back to the early 90s, reuniting in 2008 after a 20-year gap, and now touring together again.They released Past Present last fall with Bill Stewart at the drumset. Tuesday, February 9. Second Tuesday means the Cedar Avenue Big Band at Jazz Central, while Fat Tuesday puts Reuben Ristrom and Friends in the party-friendly lounge at Crooners in lieu of the usual instrumental jazz night in the Dunsmore Room. 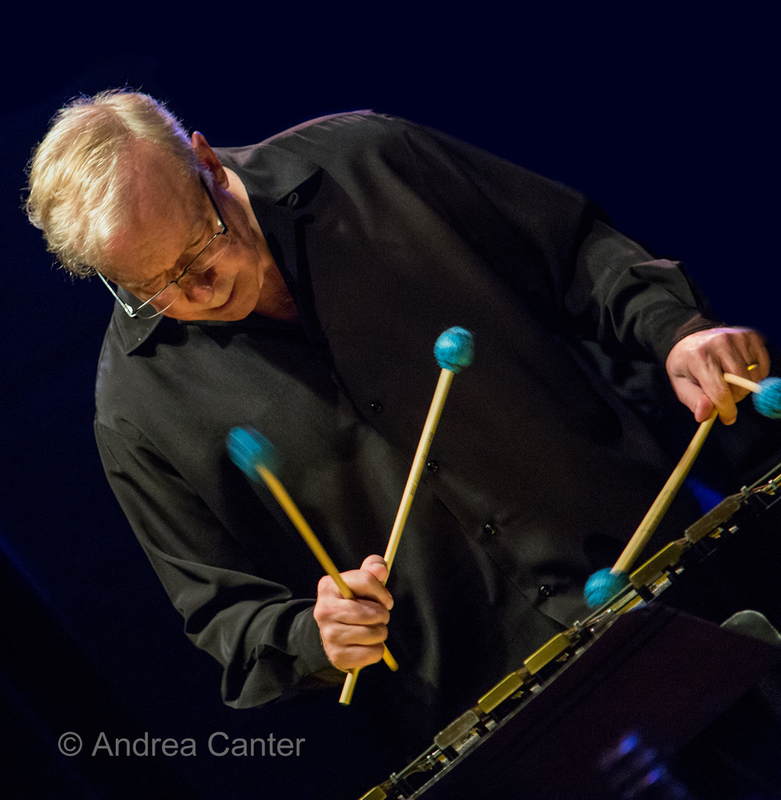 And the Nova Jazz Orchestra holds its monthly bash at the Minnesota Music Cafe -- part of the club's Mardi Gras Night, with vocalist Tony DeMarco. More Mardi Gras madness at the Amsterdam Bar with the best of NOLA in the Twin Cities -- Jack Brass Band. Wednesday, February 10. 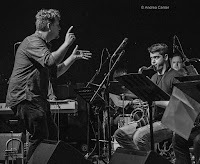 It's the second of three installments of a new Chris Bates project at Jazz Central, working through new music with young talents, Ted Olsen on bass and Matt Buckner on drums. At Vieux Carré, pianist Mary Louise Knutson goes solo, just back from a winter tour with Doc Severinsen; she's followed by the eclectic magic of New Shoes-- the same ensemble that performed on Prairie Home Companion as Guy's All Star Shoe Band (Gary Raynor, Richard Kreihn, Joe Savage and Peter Johnson). Thursday, February 11. Just how many jazz stars can you put on the Dakota stage in one band? The Mack Avenue Superband is an assemblage of the Detroit record label's top recording artists. In addition to performing together at every Detroit Jazz Festival, the band records a new album every year. This will be the Superband's debut performance in the Twin Cities. Led by acclaimed bassist Christian McBride and his trio (Christian Sands on piano and Carl Allen on drums), the Superband also includes vibes giant Gary Burton, trumpet king Sean Jones, and sax/flute titan Tia Fuller. At Vieux Carré, it's local superstars-- guitarist Joel Shapira opening for the young and restless Adam Meckler Orchestra, while the tiny music space at Khyber Pass will be filled with sound experiments from Adam Linz' Le Percheron, featuring vibes prodigy Levi Schwartzberg and young drum master Cory Healey. 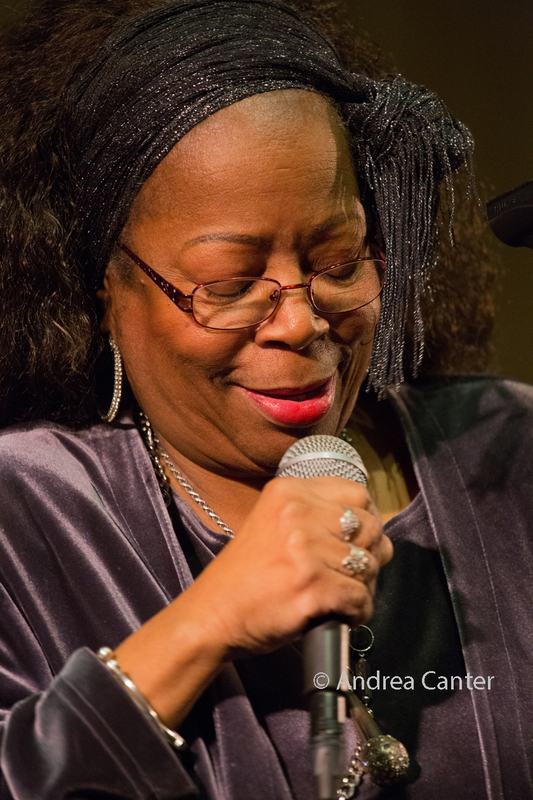 Vocal Jazz Night at Jazz Central brings in a singer with a most appropriate (and real!) name -- Melody Mendis. A veteran of jazz and cabaret, Melody teams up with Tim Graham, Tom Lewis and Jon de Vaal for this 60s-themed show of jazz and light pop tunes. 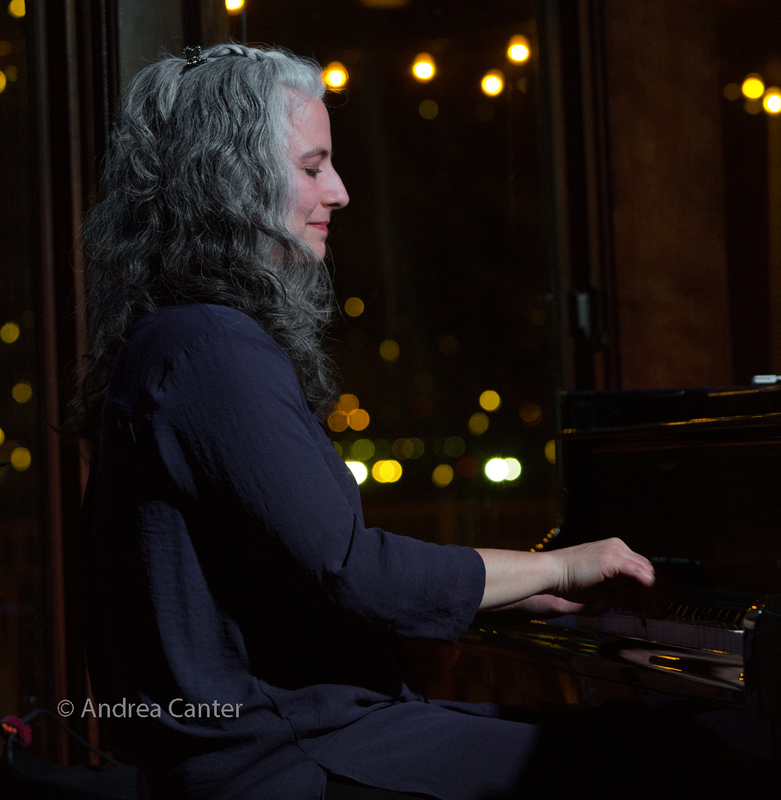 More vocal jazz -- Lila Ammons is back at the Bad Waitress with a quartet featuring Peter Schimke on piano. Keep up with the live jazz scene in the Twin Cities. The most comprehensive jazz calendar can be found at KBEM, with more listings at Rhythm and Grooves and Jazz Near You, and of course, here on the Lead Sheet. KBEM and KFAI radio host jazz programs regularly and provide daily notices of jazz gigs and concerts; you can find promos of area jazz on the Jazz Police website and Facebook page. The live edition of The Lead Sheet can be heard at 4:40 pm on Thursdays on KBEM, rebroadcast at 8:20 am on Fridays (note later time), and recent broadcasts archived at KBEM on Demand. Special guest on February 11 will be vibes master Dave Hagedorn, head of jazz ensembles at St. Olaf College, who will share news and a preview of the college jazz band's upcoming tour to Cuba. Venues and artists are reminded to send information to online and print calendars! Hear the live edition of the Lead Sheet on Jazz 88.5 FM, KBEM, Thursdays at 4:40 pm, rebroadcast on Fridays at 8:20 am!